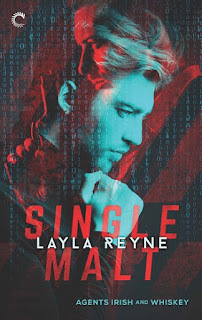 The third instalment in the Agents Irish and Whisky series sees Aidan learning the truth about his dead husband and the extent of terrorist Renaud’s involvement in those around him. Furious that Jamie kept this information from him, Jamie takes a step back from their relationship and goes undercover alone. The seeming routine undercover mission turns out to be anything but. Barrel Proof is absolutely action packed. Action, crime solving, danger, and a love story are all perfectly woven together. Full throttle from start to finish and over way too soon, Barrel Proof is a fantastic finish to a series that is my favourite discovery of 2017. I love this series and I sure the heck hope there will be more books. In this book, we get all the answers to everything and, WOW, I didn't see some of that coming. I just love the relationship between Aidan and Jamie aka Irish and Whiskey, they are just so good together. The story moved well and it kept me engaged and I didn't want it to end. When things go belly up I was so upset; I knew it wasn't the end, but I still cried. Great book, great storyline, great characters. LOVED IT. I am so sad this series is over but this last book is the best one yet. The story starts with Jamie and Aidan barely surviving an explosive, movie worthy fire in Cuba and the action just keeps getting better through the story. We know all the characters by now and this is definitely Jamie’s book. Aidan spends a little too much time sulking over the secrets Jamie and Mel have kept from him, which adds unnecessary relationship angst into the already dramatic hunt for Renaud. Jamie shines here – both his computer skills and his secret agent skills prove essential and I enjoyed seeing him as more than the junior partner. Once again, it is difficult to trust anyone in this third book and I loved the suspense as I tried to guess how the story would unfold. The non-stop action leaves our men battered and a little worse for wear, but I loved the way they work as partners in this book. I’m not sure how much more I can write without giving anything away. I fell in love with this series from the first book and it just kept getting better. 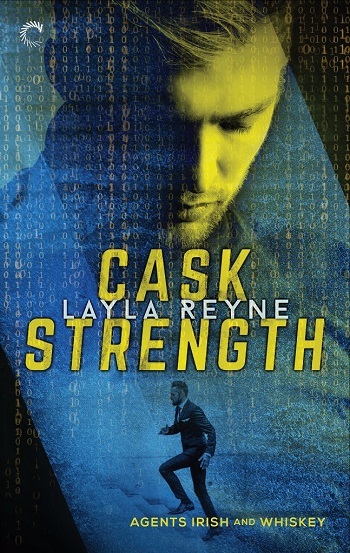 Anyone who started this series needs to read this last book and readers who have loved action-packed series by writers like Abigail Roux and Charlie Cochet will love this series just as much. Aidan and Jamie are great characters and I loved the way the self-contained storylines in each book were wrapped into the more complex whole series story arc. This is such a great series and I can’t wait to read more from this author. This is the third book in the series, and I am hoping that it is not the last. I highly recommend that you read them in order, as it would be a much truncated story otherwise. Aidan and Jamie are battling the terrorist, Renaud, and then sadly, each other. But just as we can be certain that the baddie will be caught, we must surely also hold firm that these two men will resolve their issues and give us the ending we want. I thought that the mystery was well executed and had a fascinating resolution. And, I think gave us hope for more from the FBI team and the inner circle of colleagues. And for sure the heat between Irish and Whiskey developed into something stronger and more special. And the saying "what doesn't kill you makes you stronger" seems to fit very nicely! For reviews & more info, check out our Single Malt post. For reviews & more info, check out our Cask Strength post. 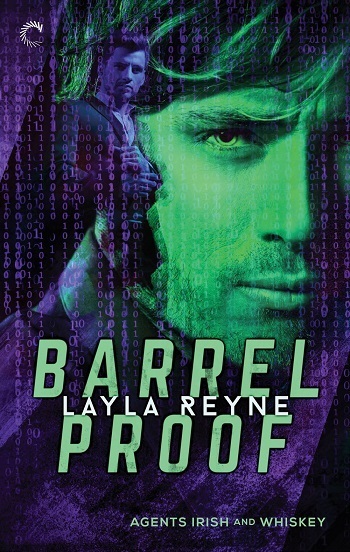 Reviewers on the Wicked Reads Review Team were provided a free copy of Barrel Proof (Agents Irish and Whiskey #3) by Layla Reyne to read and review.